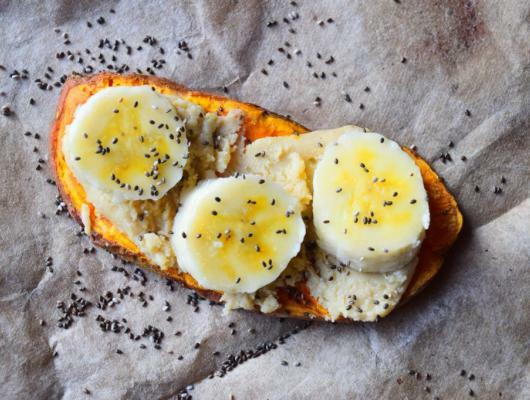 Spread with the almond butter, then chop the banana and add to the top and sprinkle with the chia seeds to serve. If you liked the recipe above, why not add a bit of fruit and some chia seeds on top? 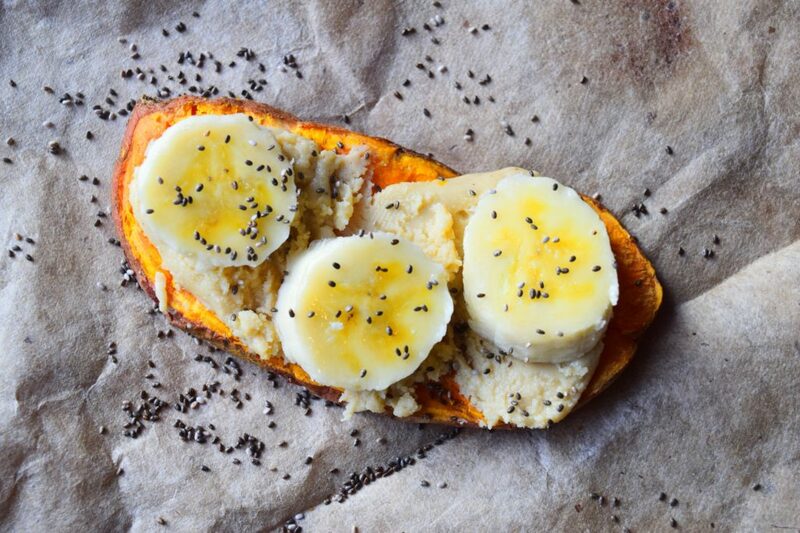 We love the mixture of almond butter and banana, so this is our favourite sweet potato toast recipe. Hope you enjoy it too.